Prof. em. 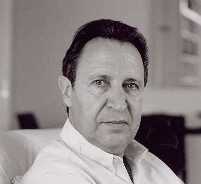 Dr. Rafael Capurro. Dr.phil. in Philosophy from Düsseldorf University. Habilitation in Practical Philosophy from Stuttgart University. Professor (em.) of Information Management and Information Ethics at Stuttgart Media University. Founder of the International Center for Information Ethics (ICIE). Former Editor in Chief of the International Review of Information Ethics (IRIE). Distinguished Researcher at the African Centre of Excellence for Information Ethics (ACEIE), Department of Information Science, University of Pretoria, South Africa. Dipl. Bibl. Annette Capurro (née Fiek). Studied library science in Heidelberg. Former Documentalist at Fachinformationszentrum Karlsruhe, Germany. Trustee: Dr. Felix Weil, CEO / Geschäftsführer Quibiq. Studied Philosophy, Psychology and Informatics in Munich. 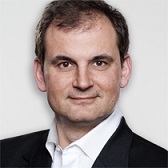 From 1995 until 2000 he worked at The Boston Consulting Group.In 2000 Felix Weil founded the QUIBIQ company. Prof. Dr. Tobias Keber, professor of data protection law, international media law, media policy and media law at Hochschule der Medien Stuttgart (HdM) and member of the Institute for Digital Ethics (IDE) at HdM. Jared Bielby, MA/MLIS in Humanities Computing and Information Ethics at University of Alberta (Canada), Chair of the International Center for Information Ethics (ICIE), Netizen Consulting. Copyright © 2010 by Rafael and Annette Capurro. All rights reserved. Impressum. Für die kostenlose Gestaltung des Stiftungslogos danken wir Dr. Marduk Buscher herzlich.